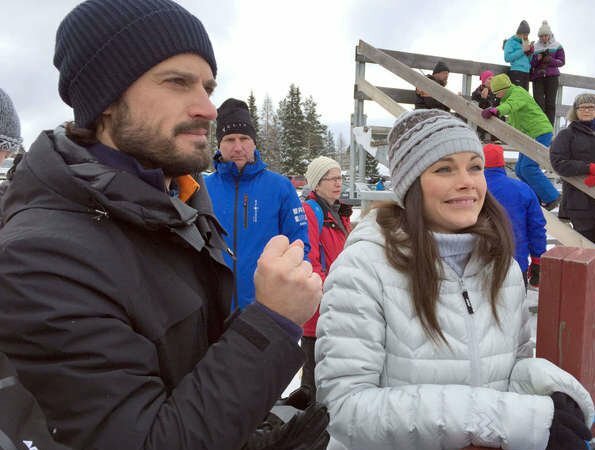 Prince Carl Philip and Princess Sofia of Sweden visited the Vasaloppet's Winter Week 2017 ski race held at the Vasaloppet Arena in Sälen, Dalarna, Sweden. Vasaloppet is the world’s oldest, biggest and longest ski race. Certainly a good colour on Sofia, very becoming. Happy couple. Good to see in this world. Pretty hat and coat on Sofia--color is nice on her. I like them a lot, they always look happy and comfortable with each other, and very much in love. Sofia looks very pretty and happy. Cute couple. She looks at him always in a very loving way. Nice to see. It was kept first time at 1922, they ski 90 km. has been canceled only 3 times ever (no snow). 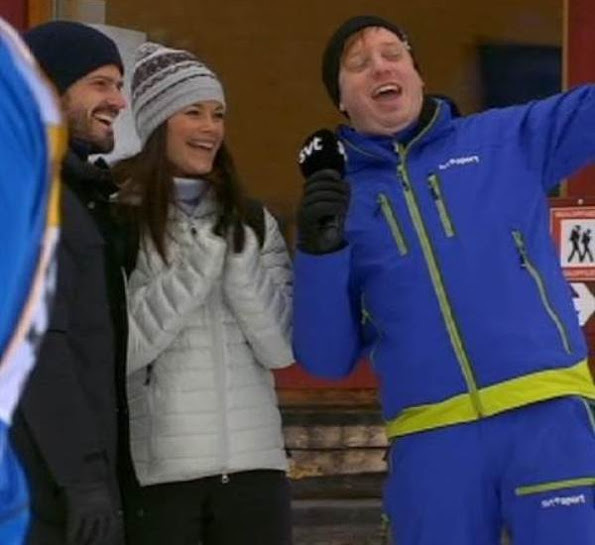 There is story behind it; at 1520 later king Gustav Vasa (then just Gustav Eriksson) was escaping from Sweden (Mora) to Lybeck German and countrymen from Dalarna (South Sweden) sent two their best skiers to get him come back to Sweden to lead war against Danish king Kristian II. Skiers went 90 km before they get to Gustav (from Sälen). Vasaloppet is between those Sälen and Mora.